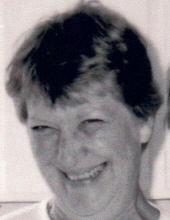 Paula Gale Silvia, 75 passed away on Friday, March 29, 2019. She was born on May 29, 1943 in Wichita Falls, Texas to parents Paul and Sara (Gray) Goodlett. She moved to Montgomery, Texas in 1986. Paula was full of life and never met a stranger. Her laugh was infectious. She was an artist at heart and loved decorating, sewing and designing personal cards. Her greatest joy was her family, her beautiful children, grand children and 1 great grandchild. So many happy memories to be cherished. She will be missed greatly by all who knew her. To send flowers or a remembrance gift to the family of PAULA GALE SILVIA, please visit our Tribute Store. "Email Address" would like to share the life celebration of PAULA GALE SILVIA. Click on the "link" to go to share a favorite memory or leave a condolence message for the family.